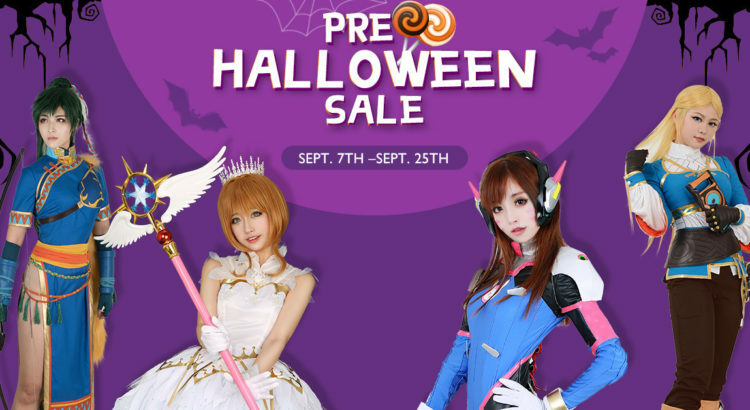 Halloween is approaching, and now it’s the best time to choose your cosplay, cuz Miccostumes’ Pre-Halloween sale is underway! Best deals for this Halloween: big discount for new arrivals, up to 80% off for clearance, up to 70% off for hot sellers, and here’s also a section of everything under $29.99! All the products on sale are promised to be delivered before Halloween! The sale will end on Sept. 25th, you won’t wanna miss it out!